When I watched The Secret Life of Pets, I only wanted to accompany my sister since she really wanted to watch it. Don’t get me wrong. I like animation films, though I choose to watch them at home. But since my sister really wanted to watch it even way before the film is released, I decided to accompany her. It’s a cute and kind of funny film, as expected from an animation film like this. They also gave us a short film of Minions before the film started and as always, those Minions are very adorable and funny. The story is actually simple and kind of predictable, at least for me. But then again, it’s an animation film and animation films tend to choose a simple story but have a great impact lesson because they want to teach the audiences, which mainly must be kids, right? So it’s no surprise if the story is not so complicated. 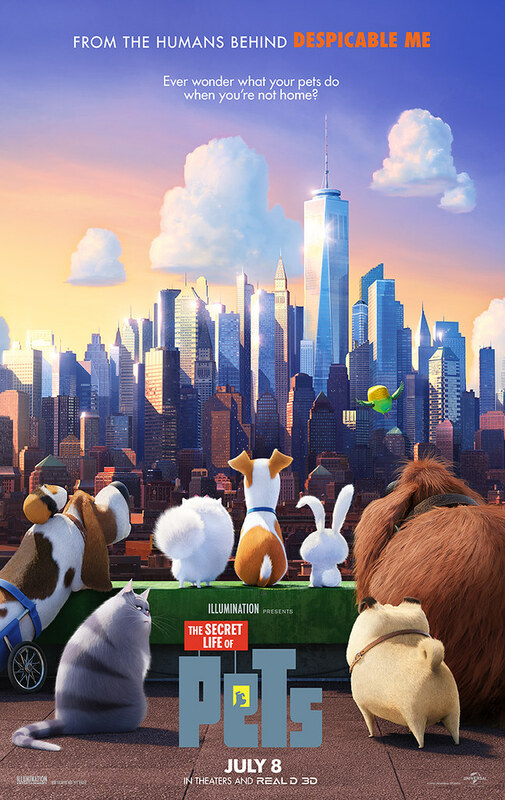 The Secret Life of Pets is not as funny as I expected it to be, but still, the story is refreshing and entertaining. What I like about this films are perhaps the animals. Most of them are really funny and cute. I really love the character of Snowball. He is a white rabbit with a very very cute face. However, somehow not like what he seems to be. But he is really adorable! The idea of the story is kind of smart and unthought of before. It doesn’t make sense, of course, but that’s what a film is made for. They don’t have to be made sense every time, right? I laugh at some of the scenes because yes, it’s funny. Though I can’t say I laugh out loud like the way I watched Spy (2015). I guess Spy is the last film that made me laugh so hard. 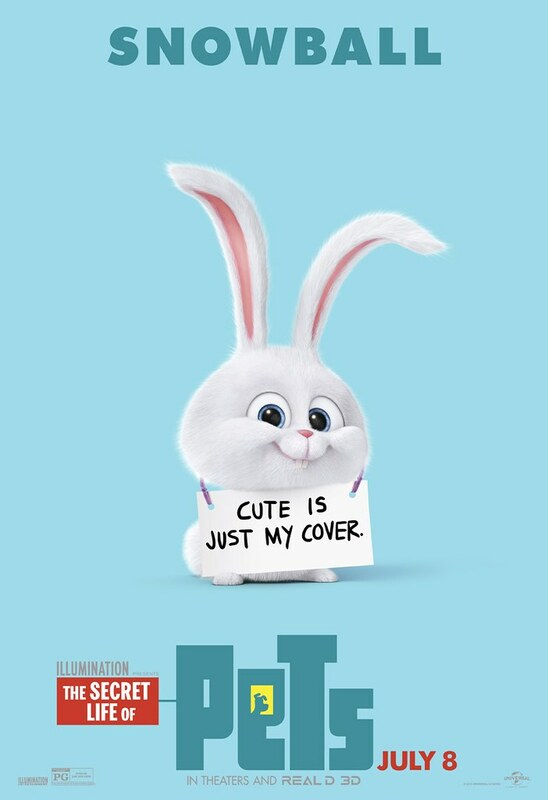 Nevertheless, The Secret Life of Pets has its own quality too. It’s entertaining enough to watch. I must say it is even better than Minions (2015) and I was supposed to like Minions very much. 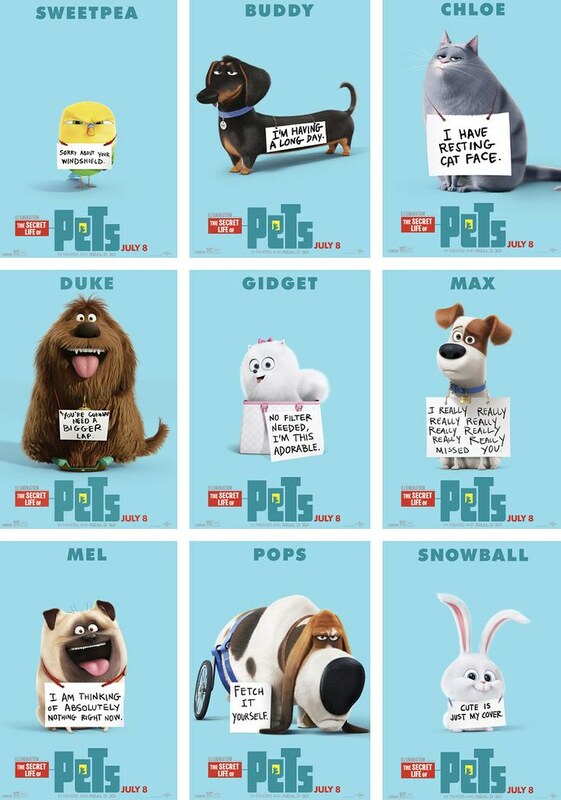 Here are the characters posters of The Secret Life of Pets. Each of them is cute, especially Snowball! He is super adorable! All things considered, I think The Secret Life of Pets is a good film and enjoyable to watch. My sister likes it so much, though we don’t share the same opinion. Anyhow, I do think it’s a good and fun film. The animals are mostly adorable. I give The Secret Life of Pets 7.5 out of 10 stars.